Accessorize your LifeProof, Otterbox or Incipio case with a trendy vinyl decal from Skinit. Upload your favorite photos and create a unique, vibrant skin made to fit your OtterBox case. Select your OtterBox case to start personalizing your own skin today. Add some personalized flare to your LifeProof case! Design a custom decal skin that will fit whatever LifeProof case you have perfectly. Select your LifeProof case and start customizing your skin! 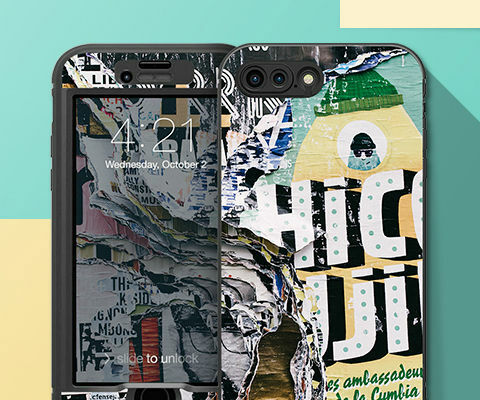 Your Incipio case will never be the same with a custom skin made from Skinit's customizer. Choose the Incipio case you have and start designing a skin that matches your style!